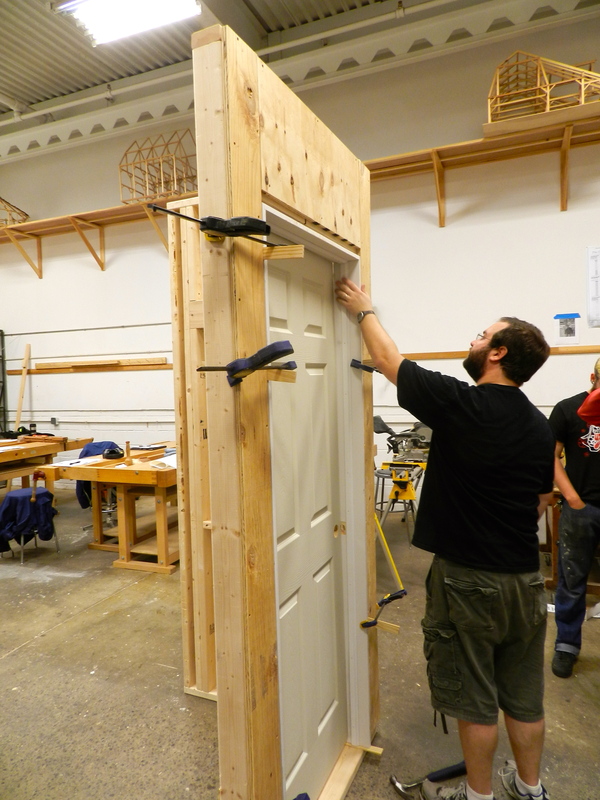 This past Saturday I taught a workshop on installing doors and windows at the North Bennet Street School’s Arlington location. 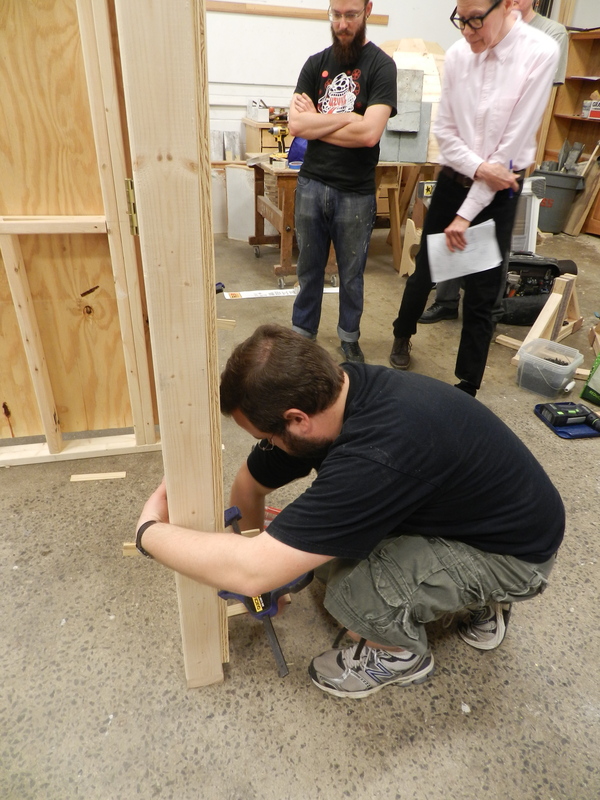 While it is the last workshop that will be taught at that location before the big move this summer into the new facility back in the North End of Boston it did not feel as much like the end of an era — it felt like the beginning of something new. The Arlington location was where I learned as a student and where I first started teaching workshops at NBSS so while I am a little sad to see the old shop get packed up, I look forward to seeing where we can push going forward with new classes and new opportunities. In designing this class part of the challenge was to make accessible to a wide audience and also be reasonable with the materials. The format of this workshop was a full day of me demonstrating, lecturing a bit, answering questions and letting the class try some of the hands on operations. By the time I got home I was on my feet for about 14 hours that day and felt like I completed a long piece of performance art. 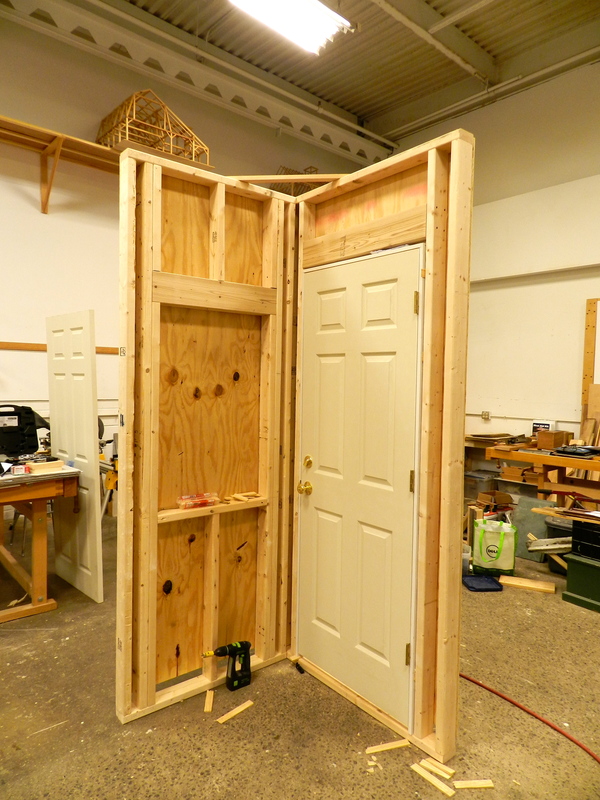 If there are carpentry, preservation carpentry, or general woodworking workshops you’d like to see offered at the school or in my own shop, please let me know as I’m always looking to teach something new and entertaining.